Warren Rose, associate professor in the School of Pharmacy's Pharmacy Practice Division. Although he was always interested in studying infectious diseases, it wasn’t until Warren Rose’s pharmacy residency at Rush University Medical Center in Chicago that he realized he was drawn to the perpetual chase of an ever-changing goal. That perpetual and search for breakthrough treatments in response to one of today’s most pressing global issues—antibiotic resistance—has yielded Rose numerous publications and accolades, including the 2013 Young Investigator of the Year Award from the Society for Infectious Diseases, that have culminated in one of clinical pharmacy’s top honors. In October 2018, Rose will be formally inducted as a fellow of the American College of Clinical Pharmacy (ACCP) in recognition of his exceptional clinical and research performance, as well as his service to ACCP through reviewing abstracts, presenting research, and working on an infectious disease task force to explore new potential initiatives within the organization. “Many of my colleagues and mentors in this field have earned this status in the organization, and it’s an honor to be recognized in the same way,” he says. 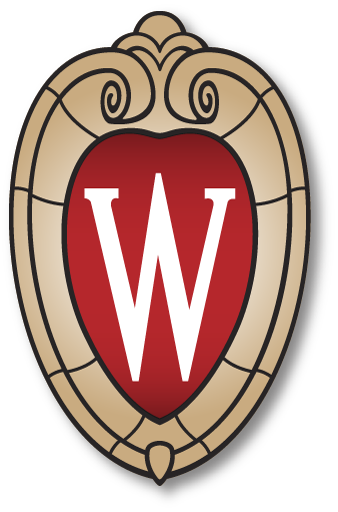 Rose is the 10th faculty member from the UW–Madison School of Pharmacy to be elected a fellow of the ACCP. Professor Mary Hayney, also in the Pharmacy Practice Division, joined the illustrious roster in 2003, and nominated colleague Rose for the status. Pharmacy has many facets, from bench work in the basic sciences to uncover leads for potential new therapies, to the one-on-one patient interaction in a pharmacy or clinic. Rose’s expertise falls right in the middle, in translational research, to connect new discoveries and therapies with effective clinical applications. Associate Professor Warren Rose advises Pharmacology-Toxicology student Aaron Rottier in the Rose Lab. In his position at the UW–Madison School of Pharmacy, he melds his research interest with his clinical focus on infectious disease and has made great strides. For example, in summer 2017, Rose received a five-year $2.1 million grant from the National Institutes of Health Institute of Allergy and Infectious Diseases to research how older antibiotics can enhance the efficacy of newer drugs, with a special focus on providing new insights for the treatment of severe cases of methicillin-resistant Staphylococcus aureus (MRSA). Currently, the Rose Lab is mainly focused on researching the effect of antibiotics on hosts, whether through biomarkers or through understanding what antibiotics do in the setting of resistance. Even if bacteria are resistant to an antibiotic, for example, the antibiotic could still augment host response or augment other therapies to improve the patient’s outcome. “We’re using antibiotics when they appear not to be effective to find alternative mechanisms to enhance the therapeutic response,” Rose says. A second research area, in the vein of a growing pharmacogenomics focus at the School of Pharmacy, is evaluating risk for patients presenting with an infection by seeking biomarkers that might indicate which patients are at a higher risk for worse outcomes. With that knowledge early on, patients can be treated with a more effective therapy upfront or riskier therapies that prove to be more effective in some patients. “We don’t know who those at-risk patients are when they present, so we’re looking for markers that can be used to stratify different patients into risk categories, and in some ways how antibiotics might modify that marker to improve the outcome,” he explains. Rose finds the elusive nature of combating antibiotic resistance more tantalizing than discouraging, energized by the opportunities inherent in the challenge. “It can be frustrating, but it’s enjoyable in that there’s always something new to learn and something new to tackle,” he says. Associate Professor Warren Rose receives his Teacher of the Year Award from PharmD student Maren VanMieghem. He joined the School in 2007 and has since formed numerous collaborations, both within pharmacy and in the Department of Medicine—where his field, pharmacodynamics, which explores the activity of a drug relative to its concentration upon arrival to the targeted site, was founded. The collaborations he’s forged on the UW–Madison campus, including with the Department of Medical Microbiology and Immunology, have a key role in his induction as a fellow of ACCP, an organization he’s been a member of for 12 years. “Part of earning the fellowship is being in a group that is collaborative and influential, and the School has put me in a great place to do that,” he says. Through his involvement and leadership at ACCP, he’s shaping the direction of clinical pharmacy—and through his laudable teaching at the School of Pharmacy, for which he won a 2017-18 Teacher of the Year award, he’s shaping its future practitioners, too. For all he’s accomplished, there isn’t a single discovery or initiative Rose can point to as his proudest achievement. Instead, he values the search itself and the means to keep it going. “I enjoy making incremental progress to understand details of the problem of antibiotic resistance, and having a funded research program with many collaborators is an exciting accomplishment in itself,” he says. Learn more about research in the Rose Lab. Read about the research experiences available to students in the School’s PharmD program.